Clothes are hard. They’re hard when you’re gender non-conforming. They’re hard when you’re fat. They’re hard when you’re eight months pregnant. They’re hard when you’re required to be a little bit fancy. They’re especially hard when you’re gender non-conforming, fat, eight months pregnant, and invited to a wedding where you have to be a little bit fancy. But, thanks to a trip to the thrift store, some creative belt coverage, and a long tie to hide the gaps between buttons, I managed to dress myself with only a few small wardrobe crises. Now, if you’ll excuse me, I’m going to take my pants off and not put them back on for at least another month. On to the world of average. The ultrasound technician welcomed us into the clinic room as if we were students late for first period. Sea and I glanced at each other: “girls” coming to check on the status of our second kid. Clinic One called at 4:50pm. 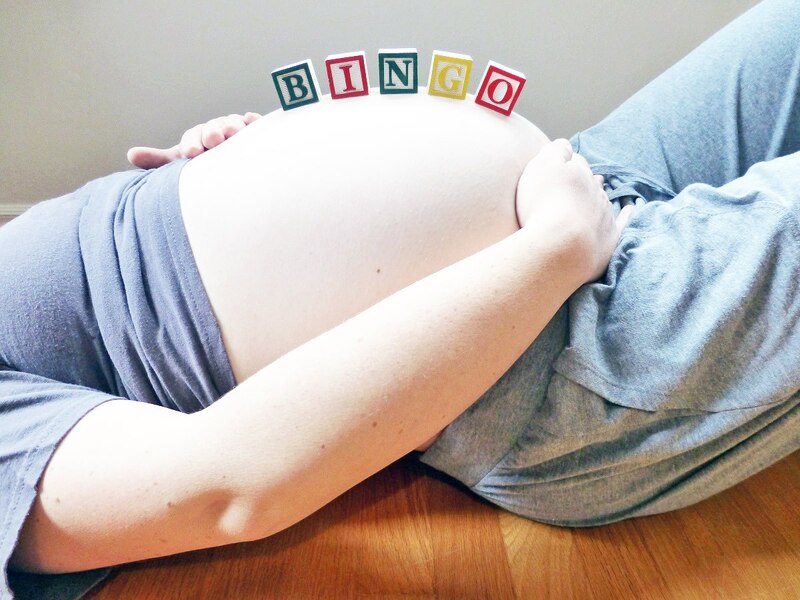 Today is Bingo’s due date. As you might have gathered based on the fact that I’m posting, Bingo was not born today and I am not in labor. That’s okay: based on the fact that only 5% or so of babies are born on their due dates, and a very small percentage of first babies are born before their due dates, we weren’t really expecting Bingo to be born today. Sorry, everybody, that’s not how it works. Like us, you’ll just have to wait. Hopefully Bingo will be worth it?